Sumak finally convinces his gargoyle clutch’s leaders that he can do more than cook food, prepare picnics, and wash dishes. He revels in his new, part-time job of walking their territory’s boundaries. Enjoying the moonlight, Sumak goes farther than he should and stumbles across a young human out jogging. He immediately recognizes the male’s scent as his mate and follows him to a parking area. Taking note of the license plate on the human’s truck, he discovers the man’s name is Andre Capston. 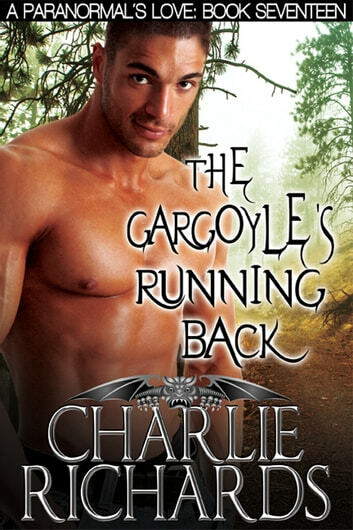 His joy at learning that his mate is the brother of Mace Capston—a fellow gargoyle’s mate—is short-lived. Sumak finds out that Mace’s family disowned him years ago for being gay. Sumak struggles with how to pursue his young mate, but Fate steps in, giving him an opportunity. Can Sumak convince his mate that true family loves and supports each other no matter what their differences?